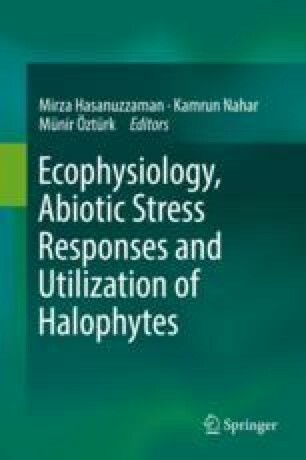 How Could Halophytes Provide a Sustainable Alternative to Achieve Food Security in Marginal Lands? Food insecurity is a major issue in marginal lands around the world where a large population is at risk of insufficient diet and even severe hunger. Since there is no food productivity in these lands, it becomes necessary to investigate the potential for plants that grow and survive in salty soils or waters (i.e., halophytes) to produce food for humans. They have a high taxonomical diversity, broad geographical distribution, and immense diversity in response to salinity. Their phytochemical profiling has indicated their food relevance in many countries. This diversity can be beneficial if the species are integrated rationally and sustainably in the farming systems of many regions in the world under extreme environments. In this review, by presenting case studies on cultivating some alternative crops like quinoa and new cropping systems in many regions in the world, we will show how halophytes could provide a sustainable alternative to achieve food security in marginal lands.